The incite Foundation is a registered charity and welcomes the participation of potential supporters. Our aim is to substantially increase the total public financial support available to Hamilton’s regional performing arts organizations. Our intent is to raise money, look after it and give it away. Within the general conditions of our charter, incite can be quite flexible but we intend to maintain minimal administrative complexity and expense. We have the facilities to arrange individual or family funds within incite to support specific organizations or fields of interest within the scope of our mission and charter. For sufficiently large funds, separate advisory committees can be established. There are many tax advantages of planned giving. An excellent description of related legal and tax considerations is given in “Reaching Out” prepared by PricewaterhouseCoopers. As an example, if a donor invests in an annuity that they use to fund a much larger insurance policy to the benefit of Incite, their estate would receive a tax credit for the value of the insurance policy with a tax credit greater than the original cost of the annuity benefit. Such donation multiplier strategies require the help of experts. The Dundas Valley School of Art provides high quality and accessible visual arts education that encourages excellence and personal fulfillment for children, adults and those pursuing a career in the visual arts. The school has been providing this service of visual art education, to the Hamilton-Wentworth region for over 45 years. The school has an important influence on the cultural development of the region and plays a vital role in the education of the community. As the leading community art school, DVSA is well known for its ability to provide quality education for people ranging from pre-school students to senior citizens. In the early spring DVSA received funding from incite Foundation for the Arts which was earmarked for “The Artist Connection 3” an educational outreach program best described as a travelling exhibition, lecture and workshop series. The exhibition consists of art, representative of the Hamilton Arts Community that will travel through the Hamilton Wentworth District School Board’s Elementary and Secondary schools. Hamilton All Star Jazz Band Inc.
Hamilton All Star Jazz Band Inc. was founded in 1984 by Dr. Russ Weil. The mission is to be the leading arts organization in the Greater Hamilton Area. Our young people act as ambassadors for the community. We focus on the development of life skills – commitment, leadership, teamwork and respect – in an intellectually and artistically challenging environment. We concentrate on excellence in musical performance for local, national and international audiences. The funds received from the incite Foundation will be used to help us pay for the musicians in the Fall 2013 / Winter 2014 Concert Series at the Old Firehall Arts Centre in order that all of the proceeds of the concert series can be put towards the many performance activities of our three bands and vocal jazz choir during the same time period. In order to maximize the benefit to our young people and to the community, we plan through the concert series to double the grant money received from the Foundation so that twice the money received can be put to use supporting our programs. An Instrument for Every Child. An Instrument for Every Child (AIFEC) is the successful Hamilton inner-city free music program for children in Grades 1 through 4. This past September the program expanded to five Hamilton schools for the 2012-13 school year: Holy Name of Jesus, Dr. J. Edgar Davey, Memorial, Prince of Wales, and Cathy Wever. AIFEC provides elementary school children in challenged neighbourhoods with the opportunity to learn to play a musical instrument. In the 2011-12 theatre season, Theatre Aquarius was proud to welcome INCITE Foundation for the Arts as a Production Partner for our production of Lee Hall’s The Pitmen Painters. The Pitmen Painters was one of those magical productions that became so much more than any of us could have expected. A powerful story and an artistic risk, it also struck a nerve in so many that saw it, and through exceptional word of mouth became one of the outstanding commercial successes of the past season. To watch audiences become electrified by a play that is, in many way a discussion about the meaning and value of art was frankly glorious. How exciting a prospect for our city and our theatre, that great art can have mass appeal, can reach new audiences and can help us transform our community, sparking ideas that change lives. The Pitmen Painters was the stuff that dreams are made of, and we thank the INCITE Foundation very much for helping to make it a reality. Founded in 1965 by Dr. Glenn Mallory, the Hamilton Philharmonic Youth Orchestra has given the joy and discipline of orchestral music to nearly one thousand young people and delighted the thousands for whom they have played. In addition to regular local concerts, the orchestra has performed in Moosonee, Carnegie Hall in New York, Alabama, Banff, and England. The HPYO enjoys a strong partnership with the Hamilton Philharmonic Orchestra, but maintains its independence as a not-for-profit, charitable organization governed by a volunteer board of directors. 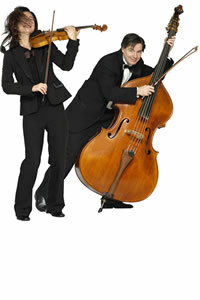 The generous gift from the Incite Foundation is being used to support our Faculty program in partnership with the HPO, bringing in guest musicians and speakers to develop a series of musician development workshops, and perform two concerts at McIntyre Centre for the Performing Arts (at Mohawk College). Zimscuplt is an exhibit of stone sculptures from Zimbabwe that represents the work of over 200 native artists. The Zimbabwe stone artists carve each sculpture by hand using hand tools and sandpaper to transform raw materials into sculptures depicting human life, the natural work and their culture. This fall, Royal Botanical Gardens (RBG) hosted this wonderful exhibition and was proud to present it to Hamilton and Burlington area residents. Displayed amongst the blooms of Hendrie Park were 300 stone sculptures, as well as daily on-site sculpting by two Zimbabwe artists, Passmore Mupindiko and Patrick Sephani. RBG received a $10,000. grant from the incite Foundation for the Arts towards this exhibit, which helped the RBG provided dynamic and engaging sculpture-related school and public programs, and promote the exhibit to new audiences. The Hamilton Philharmonic Orchestra was founded in 1884 as The Hamilton Orchestral Society and grew to become one of Canada’s major professional orchestras. Today, the Philharmonic is a leader in Hamilton’s robust arts community where it provides professional orchestral services and music education programs to address the needs of the community. The HPO continues to commission and premiere works and is one of the artistic jewels of the Hamilton/Burlington area. The combined musical talents of its artists continue to enrich the community and enhance the quality of life for its residents. We’re thrilled to be partners with Incite for the Arts Foundation. The generosity of its investment has helped keep our orchestra fiscally strong, allowing us to build new audiences, provide excellent quality orchestral concerts as well as deliver important community and educational programs. The Brott Music Festival is renowned for its extremely high artistic standard, world class soloists, its exuberant young orchestra and its eclectic mix of orchestral, chamber, jazz, pops and education concerts at various venues across Southern Ontario. Hamilton Artists Inc. is guided by a series of objectives, which help shape the mandate and vision, direct policies, and drive programming and community activities. Short and long-term goals are set for each programme and are designed to meet objectives and activities, which are evaluated regularly to maintain relevance within national dialogues and engage audiences. Centre  is one of the most dynamic artist-run print and media arts centre in Canada. Located at the heart of Hamilton’s arts district in Ontario, Centre offers world-class facilities for traditional print-making (lithography, silkscreening, intaglio and more…) and state of the art digital media facilities. AGB is an award winning gallery located in the heart of Burlington, Ontario. We stage as many as 12 exhibitions a year and are home to an acclaimed collection of Canadian contemporary ceramics and seven fine craft guilds. We believe that the arts are vital to the overall healthy development of children and youth and that young people have important contributions to make to their communities. The arts are a vehicle through which they can share unique perspectives. We develop their capacity to engage, reflect and express ideas through a wide variety of media and provide channels through which their insight can reach the community of Hamilton and beyond. The Hamilton Children’s Choir prides itself with offering six different programs that offer instruction and performance from first exposure in choral music to advanced performance and touring opportunities. The level at which chorister participates is based on their overall ability as a chorister, including their vocal assessment, music experience, knowledge, and maturity. Chorister placement is at the discretion of the Artistic Staff. Chamber Music Hamilton has, in various incarnations, been part of Hamilton’s cultural fabric since the late nineteenth century. It has operated out of venues across the city, originally including McMaster University where as late as the nineteen seventies, CMH presented concerts in the modern health sciences complex. The series subsequently resided at the home and under care of Ezio and Helen Cappadocia. It then passed to Zdenek and Lida Konicek who presented out of the Hamilton Conservatory for the Arts. When they returned to the Czech republic in 2005, the series came under care of Sabatino Vacca. Since 2009, CMH has been under care of performer, teacher and composer team, Michael and Abigail (Richardson-) Schulte, and presents the concerts downtown in the modern Pavilion of the Art Gallery of Hamilton; the heart of the city’s arts scene. CMH is now an internationally reputed presenter of world class string quartets, quintets and trios with the special acclaim of commissioning new compositions and presenting premieres. Another new element to CMH is that of an annual ensemble performance by concert artists from Ontario. This concert varies from the others in performer numbers, themes and instrumentation. The LIVE (Large Interactive Virtual Environment) Lab is a unique 106-seat Research Performance Hall designed to investigate the experience of music, dance, multimedia presentations, and human interaction.